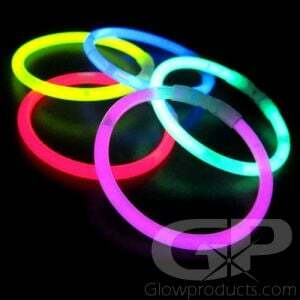 - 22" Glow Necklaces with 8 Hour Glow Duration! 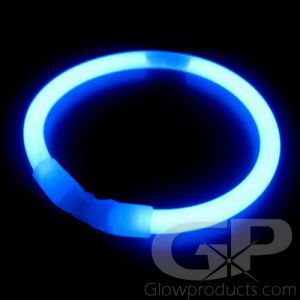 - 6mm Thick with Pre-attached Connectors! 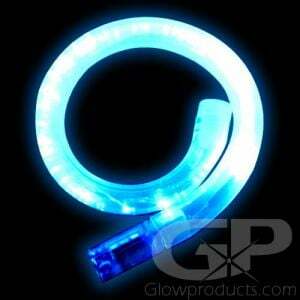 - Premium Quality means No Leaks! 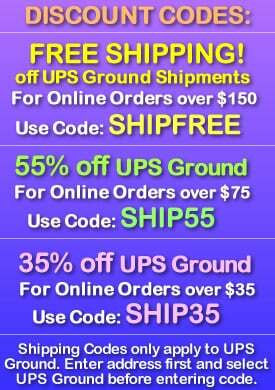 No Duds! 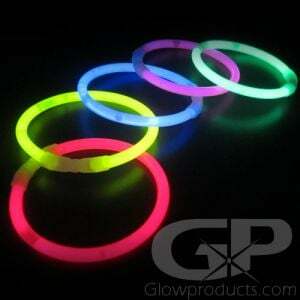 - Festivals! Fairs! 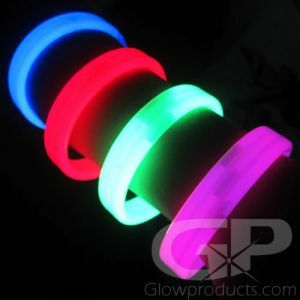 Dances! 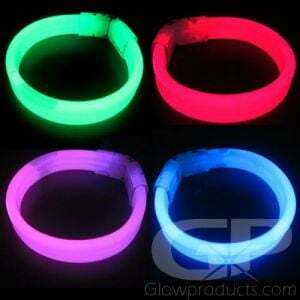 Special Events! 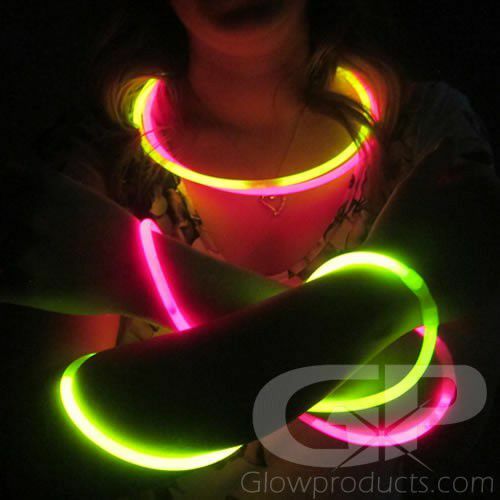 22 Inch Premium Glow Necklaces have an 8 hour glow duration and are a part of our premium line that has a larger volume of liquid glow resulting in a brighter and longer lasting glow effect! 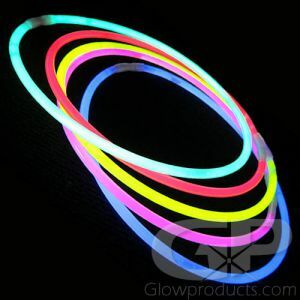 Premium Glow Necklaces are huge sellers for fund-raising at school dances, concerts, theme parks, fairs and special events - especially fireworks celebrations! 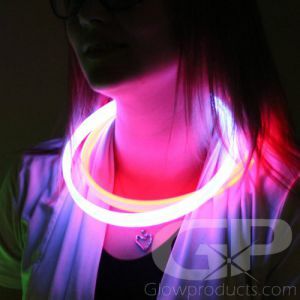 Connect the glow in the dark necklaces together and wrap them around your arms, waist or hips. 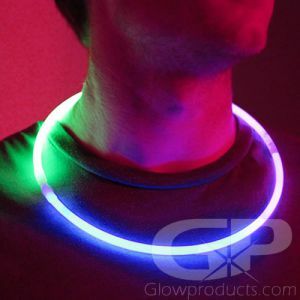 Glowing necklaces are perfect for any party or concert, and just the thing to add zip to any Halloween costume. 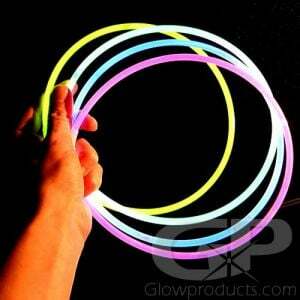 Glow necklaces can be used as decorative strands of glowing rope to enhance any glow party or lighted event! 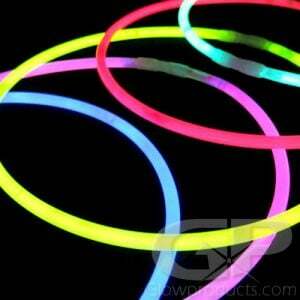 Premium 22 inch Glow Necklaces are waterproof, 6mm thick and the connectors for the glow necklaces are pre-attached! 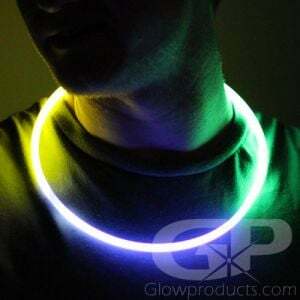 Instructions: Bend along the entire length of the glow necklace just enough to break the inner capsules. 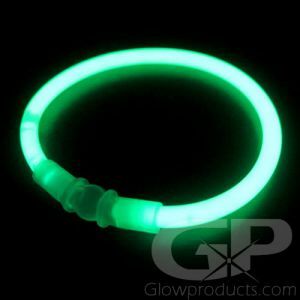 Shake to mix and get glowing! 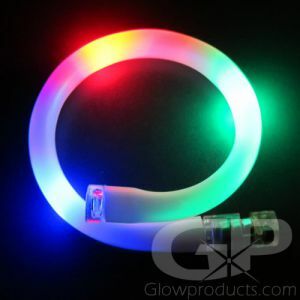 Bend to form a loop and push each end of the glow necklace into the connector.